We source ingredients for our flavors from nearby farms we know and trust – like Spade & Clover Gardens, Sea Island Savory Herbs, and Hyman Vineyards. 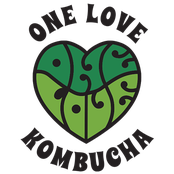 They are the true heroes that allow us to craft kombucha we are proud to share! A floral kiss of hibiscus flowers paired with a punch of ginger – this flavor is our favorite way to start the day or to help settle an upset stomach. Hibiscus and ginger grown by local legend John Warren of Spade & Clover Gardens. A thirst quenching trio of turmeric, carrots, and citrus crafted to boost levels of Vitamin C and help calm inflammation throughout the body. Carrots sourced from our friends at Rosebank Farms; organic turmeric grown by Spade & Clover Gardens. A classic pairing of local strawberries and sweet basil is a lowcountry favorite! We are proud to source strawberries through our friends at Growfood Carolina and our freshly grown basil from Hydroponic Harvest. Fun and refreshing notes of lavender, plus the antioxidant Anthocyanin from butterfly pea flowers (which also provide the vibrant color), make this flavor popular as a cocktail mixer. Our lavender is sourced from multiple farms in Charleston like Sea Island Savory Herbs, Kindlewood Farms, and Hydroponic Harvest. Sweet and simple, Muscadine grapes are packed with resveratrol – a substance noted for cardiovascular benefits and the potential to slow growth of some cancers. Muscadine grapes sourced from our friends at Hyman Vineyards (Conway, SC).